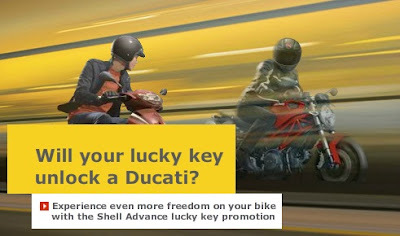 4 x Grand Prize : VIP Trip to the MotoGP in Valencia, Spain & A chance to win a Ducati Monster! Purchase Shell product, peel off the pack to get your 9-Digit Unique Code and SMS/submit the answer through online form. Visit Shell contest page for more details. The next car you buy should be THIS - It'll help you save money on petrol! !